Runners Connect » » Training Articles What are Tempo Runs and Why Will They Help My Running? One thing that many runners learn the hard way is that long distance running is not a sport of instant gratification. Running as fast as you can for as long as you can every day rarely leads to personal bests and instead leads to injury and overtraining. Racing fast means running smart and targeting workouts at precise paces that reap specific benefits. Most runners have heard the term “tempo run” before, but many don’t realize that there are actually 3 different types of tempo runs (better referred to as threshold run) and that understanding the precise differences between the three is critical to targeting the right effort levels. With terms like lactate threshold, tempo run, and anaerobic being thrown around interchangeably, understanding your training can get pretty confusing, and it can even make figuring out a tempo run pace seem complicated. To help you better target your training and efforts, we’re going clarify what the 3 different zones of threshold running are and how you can tell when you are running the right pace to achieve a specific benefit. We are even going to give you specific workouts to use in each of the threshold runs. The anaerobic threshold is often defined as the level of exercise intensity at which lactic acid accumulates in the blood stream faster than it can be cleared away. Muscular acidosis, which is the lowering of muscle pH due to hydrogen ions accumulating in the tissue, creates a burning sensation in the legs, telling an athlete that they are running right on the edge of their anaerobic threshold. The word anaerobic means “without oxygen” and in the world of exercise science it describes strength-building exercises in contrast to longer, endurance training. In essence, when a long distance runner performs anaerobic threshold (often called tempo runs) correctly, they are running at or very near anaerobic threshold intensity, and their body is producing lactic acid slightly faster than it can be cleared from the blood stream. Increasing your anaerobic threshold is important for runners who are racing all distances because it allows the body to run at faster and faster speeds before fatigue and lactic acid take over. Athletes who race the 1500 meters all the way up through the marathon should make anaerobic threshold work a part of their training program. Which workouts improve my anaerobic threshold? Tempo runs and cruise intervals at tempo effort are the workouts that increase an athlete’s anaerobic threshold most specifically. Tempo runs are run at a pace that an athlete could maintain for about 60 minutes, and are sustained for approximately 20-40 minutes. Tempo intervals are run at the same pace as tempo efforts. Think of tempo intervals as a broken tempo run. One week you may run a 40 minute tempo effort and the following week you may run 4 x 10 minutes at the same tempo effort with a few minutes of rest in between these intervals. Tempo intervals allow an athlete to put in a significant amount of time at the anaerobic threshold with less of a strain on the body than a consistent tempo run. How can I make sure that I am running my tempo at the right pace? Finding the right pace for your anaerobic threshold (a pace you could maintain for about 60 minutes) is just a matter of math. For runners who complete a 10k in one hour, the anaerobic threshold is the same as the 10k pace. For runners who complete the 10k in 50 minutes, the anaerobic threshold would be the 10k pace plus roughly 10 seconds per mile, and so on. For some of the best runners in the world who complete a half marathon in 60 minutes, their half marathon pace is also their anaerobic threshold pace! Of course, as a runner becomes fitter and faster throughout a season, the threshold pace will gradually increase. Although it is often tempting to run every workout as fast as possible, straying out of the anaerobic threshold range negates the benefits of increasing the anaerobic threshold. Often, when an athlete feels good and wants to run faster on a day that is a designated tempo effort, they do so at a pace that does not help to increase the anaerobic threshold and by running faster they are actually doing less to help themselves race fast in the long run. We discuss that more in a separate post about why running faster in training may actually be the reason you are not running fast in a race. As you run faster and faster, your body uses less of your aerobic system and more of your anaerobic system that produces energy through glycolysis, essentially the fermenting of the muscles that produces the byproduct lactic aid. Many runners confuse the anaerobic and lactate thresholds. The two terms, while similar, should not be used interchangeably. The terms anaerobic threshold and lactate threshold describe different points on the lactate curve. The lactate threshold is the point at which lactic acid is just beginning to accumulate while the anaerobic threshold describes the point at which lactic acid builds faster than the body is able to remove it, usually occurring at about 4 mmol/L of lactate. Which workouts improve my lactate threshold? Workouts that are longer endurance workouts or easy speed workouts help to build your lactate threshold. The total mileage for the day will depend on how much running your body is used to. Keep the warm up and cool down on the lower end if you have not yet found your optimal mileage. Remember we wrote about the 8 challenges to increasing mileage, it may be a good idea to take a read of that before jumping your workout volume up too high. Save yourself the heartache of injury! How can I make sure that I am running my intervals at the right pace? The differentiation between work that targets the lactate threshold and anaerobic threshold lies in the math. Workouts that increase the lactate threshold are run at 85%-91% of the anaerobic threshold, 66%-75% or VO2max or 71%-75% of maximum heart rate. This pace usually corresponds to 10 mile or half marathon race pace. Most runners can hold their lactate threshold pace for 20-40 minutes in training, depending on how fit they are and the exact pace they are running. Lactate threshold efforts are slightly slower than the workouts that target the anaerobic threshold and thus, should feel slightly easier on shorter periods and can be extended slightly on longer repeats. A runner’s aerobic system uses oxygen and burns fats, proteins and carbohydrates. It is the main energy system used in long distance running. Unlike the anaerobic system, the aerobic system produces energy slowly so it cannot be relied upon when large amounts of energy are needed immediately. The aerobic threshold is the level of exercise intensity at which an athlete can run without accumulating significant lactic acid in the blood. For most runners, this is roughly current marathon race pace. The higher your aerobic threshold, the faster and longer you can run before crossing the line into anaerobic metabolism, a zone that cannot be sustained for a long period of time. For marathoners specifically, aerobic threshold is the fastest pace at which you can still burn fat efficiently as a fuel source. This is critical since increasing your efficiency to burn fat when running at marathon pace is the key to avoiding the wall and racing faster. 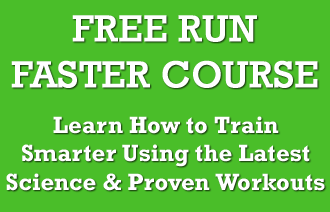 If you are following our free 9 part marathon training schedule and guide to learn more about how to run your best marathon ever. Which workouts target the aerobic threshold? Workouts that target and are run at current marathon pace increase the aerobic threshold. Notice we said current marathon pace, not goal marathon pace, there is a difference, and by training at goal pace when you are not ready, you are sabotaging your marathon (and risking injury). Workouts that focus on endurance and stamina rather than short bursts of speed are the kind of workouts that benefit the aerobic system. My favorite aerobic threshold workout is the steady run. Generally, steady runs are performed at about 10 seconds faster to 20 seconds slower than current marathon pace. The distance is usually between 4 and 8 miles, depending on the runners optimal mileage. Many coaches advise longer intervals at marathon pace, such as 8-12 mile aerobic threshold or marathon paces runs. Additionally, occasionally running portions of your long runs at marathon pace are beneficial for increasing the aerobic threshold. We actually recommend doing a steady run the day before your long run instead of the traditional 3 hour plus marathons to prepare for your upcoming race. 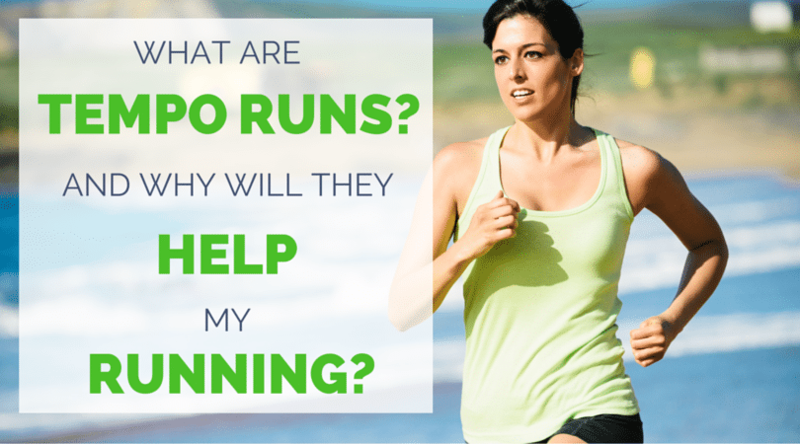 How can I make sure that I am running the right pace to increase my aerobic threshold? A good rule of thumb for those without a definable marathon race pace is the target heart rate zone of 60-80% of maximum heart rate. However, training by heart rate rather than current marathon pace experience is not advisable because of the many factors that can influence an athlete’s heart rate from day to day. Read this article on why I don’t recommend training by heart rate for more in-depth thoughts on this. Why Do Runners Need to Know the Difference Between Threshold Paces? As you can see, each type of threshold run is designed to elicit a specific physiological response. When you run outside the “zone” of the threshold you’re targeting you’re not able to take full advantage of the workout. This happens most often with marathon runners who set out to target the aerobic threshold. During the workout, they feel good and aerobic threshold pace feels easy so they start running faster. Or, they decide to use goal marathon pace as their aerobic threshold pace, which has nothing to do with your current physiological reality. Unfortunately, this transitions the body into working the lactate or anaerobic threshold rather than aerobic threshold. It’s a slight difference, but instead of teaching their body how to burn fat efficiently at marathon pace and improving their ability to run longer at this high end aerobic pace, they target the anaerobic threshold, which is great for improving the ability to buffer lactate, but does nothing to improving marathon specific readiness. This is why runners will often run great in training and PR in tune-up races but crash during the marathon. Try to think of a threshold as a giant pit of mud during a race. For most of the race, you are feeling great, running hard and fast and pushing the pace. All of a sudden, you enter the mud pit and your effort increases tenfold as other runners fly past you. What if you could push that mud pit farther and farther away so that you barely touched the beginning of it as you were crossing the finish line? That is what threshold work aims to achieve. Each threshold causes increased effort and physiological difficulty when you cross it. By raising those thresholds, you can race farther and faster more comfortably. So stay in the zone, run smart and race hard! 5. Barder Owen. “The Aerobic and Anaerobic Thresholds." The Aerobic and Anaerobic Thresholds. Running for Fitness, Feb.-Mar. 2013. Web. 25 Feb. 2014. Hey there, I am currently training for my first road half marathon. During my long run, I control my pace and by average I did 2:12 for half marathon distance. I am targeting for a 1:45 finisher, and the race schedule on May. Do you think I am able to go faster if I maintain this type of workout? And also, I ran some extra mileage week after week, to increase my aerobic threshold, if I got it correct from you article. Great article. Helps to explain some of the questions I often get asked about training intensity. You have explained complex phenomena in a straight forward and easy-to-understand article. Well done, Sarah. How Lactase Threshold is 75% of MHR while MP is 80-100% of MHR. And how come MP can reach 100% of MHR?? Can you see a runner in mile 20 run at 100% MHR? Hi Jeff, sorry to confuse you. The numbers we have are correct, lactate thresholds are run at 85-91% of your anaerobic threshold. This means you are almost to the level where lactic acid accumulates in the blood stream faster than it can be cleared away. Not sure where you got 109% from, but we were basing it out of 100%. Hope this helps! Hey Jeff. Love your stuff. But, I’m a bit confused. This article defines Lactate Threshold as “The lactate threshold is the point at which lactic acid is just beginning to accumulate.” Your article on ‘Lactate Threshold Training’ defines lactate threshold as, “the fastest pace you can run without generating more lactic acid than your body can utilize and reconvert back into energy.” You’re the master here. What am I missing. From what I read, the long run or easy run that you run way below your marathon pace will not target the aerobic zone? What will those runs target (for me, my easy runs are around 5:00/km and my marathon pace -MP- would be around 4:17/km)? A contradictory thing I see is that 60-80% of your MaxHR could be way slower than your MP. Great and very helpful article, but I’m confused about the definitions of AnT and LT.
For me each definition looks the same. What is the difference (in terms of definition and training effect)?